Time or luggage space at a premium? No problem. The Pink&Green multi-purpose one balm is your skin care superhero. With the help of this gorgeous, enriching and smoothing product, skin radiance is yours even when you’re on the go. Packed with such nourishing ingredients as shea butter, apricot and rosehip oil, this versatile beauty cream is both a luxury cleanser and moisturizer. Massage a small amount of the balm into the face and neck, always moving upwards. Be gentle around the eye area. 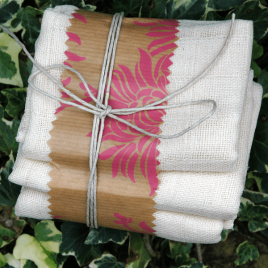 Remove the balm by soaking a flannel or a Pink&Green organic muslin cloth in warm water. Then wipe away excess balm, make-up and dirt with a gentle motion. If desired follow with a toner. Then use a little more balm to massage into your face and neck. The Pink&Green One Balm is a facial balm with a myriad of other uses. For an all-round nourishing skin-saver this organic balm is hard to beat. The airless pump does not dispense all of the product – there will always be a small amount left when the pump stops dispensing balm. To compensate for this, we fill the pump with an extra 10 per cent of product to ensure that you have at least 30ml of usable product. Jojoba Oil* – Rejuvenating, soothing, protective and easily absorbed. Apricot Oil* – Extracted from the soft fleshy centre of the apricot stone, this oil is an excellent moisturiser. The high content of oleic acid gives apricot a greater affinity with the skin compared to some oils. This means it’s more easily absorbed. 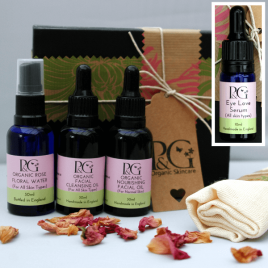 Rosehip Oil* – Rosehip oil has regenerative, rejuvenating and healing qualities. It’s the only vegetable oil to contain a form of vitamin A called tretonin. It helps to repair damaged skin, acne, and reduce wrinkles and scars. 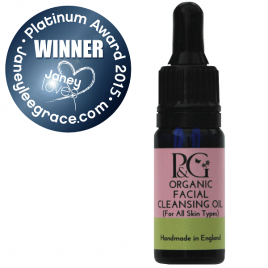 Rosehip oil is a good source of the essential fatty acids Omega 3 and 6, both of which assist with skin regeneration. 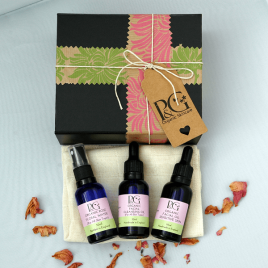 Rosehip oil has a reputation for being a high-performing anti-aging oil. Shea Butter* – From the Karite tree, this substance is a wonderful moisturiser, containing vitamins A and E. It’s emollient and soothing. Due to its naturally occurring antioxidants, jojoba may extend the shelf life of cosmetics, whilst carrying over their nutritional benefits for the skin. It’s an eco-friendly, biodegradable and gentle wax. This makes it an excellent cosmetic ingredient for skin care that can be used on sensitive, mature and problem skin without worry. Jojoba oil contains vitamin E, B-complex vitamins and the minerals silicon, chromium, copper and zinc. The presence of all this in our One Balm makes it ultra-nourishing and beneficial for all skin types. Calming, soothing, balancing, and restorative. The presence of lavender promotes new cell growth and regenerates skin. It’s a wonderful healing oil for allergies, inflammation, spots, burns, eczema, and psoriasis. It’s also good for treating acne. It balances sebum, kills bacteria, cleans and disinfects the skin whilst also encouraging healing, healthy skin growth and preventing scarring. Lavender is suitable for all skin types, but mature skin in particular as well as skin troubled with acne or eczema. Harmonising and comforting, geranium oil calms and cools the nervous system making it useful for treating restlessness and anxiety. It has a balancing action on sebum production so it’s great for oily, congested and dry skin. A useful antiseptic and anti-inflammatory it’s helpful for eczema. Frankincense is calming and uplifting. It’s the best-known oil for mature skin. It tones and encourages new cell growth so rejuvenates skin and slows down the ageing process. Frankincense is suitable for all skin types. I love this product – use it as my evening cleanser & night cream and love the feel of my skin in the morning. I massage any surplus into my hands and cuticles, leaving my hands lovely and soft. I also use it for dry skin on my feet and in particular one of my feet that has been particularly dry with flaky skin – this has solved the problem! Great product I love it! Fab for protecting me when I am out in the harsh winter weather and is great to use excess on hands, elbows etc. Trying it as mask later and on my feet! Love just having one product that does it all! I was given a sample of this to try. As I have combination skin I was a little worried about the weight of it. However I had nothing to worry about! Its now my all in one skin care system and my skin has never looked better! The dryness around my nose that I’d always had is slowly fading away and my weathered cheeks are now just glowing rather than chapped and sore. I’ve found that makeup (which I rarely wear) now stays put longer and even if I end up very warm, rather than looking overheated, I just look blushed! Thank you Carol, for making me feel more confident and for creating a product that fits in with the time I have!